As autumn arrives in the UK, and the blackberry picking season is in full swing, spare a thought for the distant Galapagos Islands, where one particular type of blackberry – Rubus niveus – is causing serious problems for local biodiversity and agriculture. 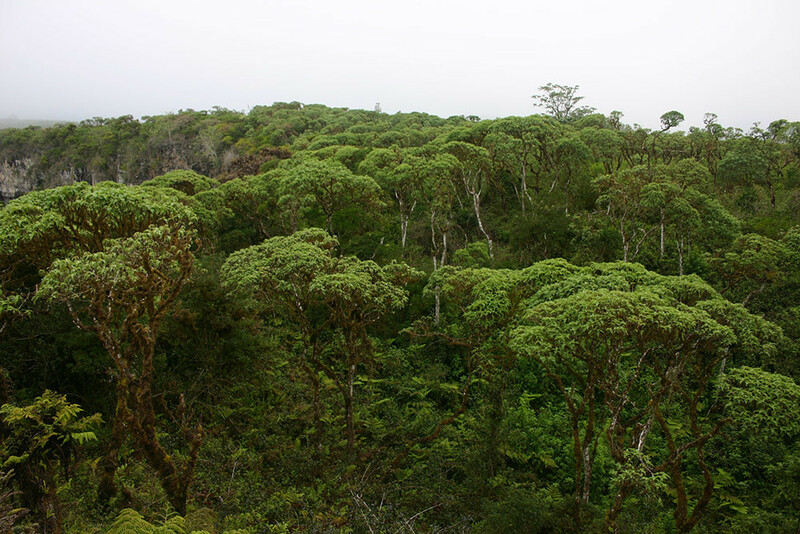 Since its introduction to the islands in 1968, this blackberry has grown and spread across the Galapagos archipelago and is now considered one of the worst weeds affecting the islands. In places, dense spiny thickets of blackberry grow up to three metres tall, turning agricultural areas into wasteland and preventing the unique native forest, dominated by the endemic daisy tree, from regenerating. There’s the added problem that herbicide and manual control of the blackberry may also be indirectly affecting the habitats of local wildlife, including the nesting success of local birds. Since the islands were discovered in the 16th century, humans have introduced lots of different animal and plant species to the Galapagos. Some of them have become invasive, like this species of blackberry, which has now invaded most of the wetter parts of the islands and has been estimated to cover more than 30,000 hectares – that’s over 25,000 football (or if you’re American, soccer) pitches. Controlling the blackberry is a tricky business, entailing, at present, a mixture of manual labour and herbicide application. But the blackberry’s fast growth and large seedbank make these methods expensive, labour intensive and, ultimately, not very successful. But science may hold the answer. 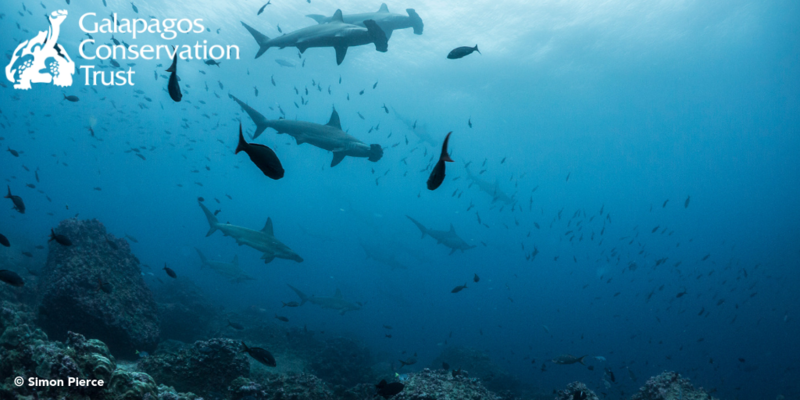 The Galapagos National Park Directorate (GNPD) is partnering with CABI and the Charles Darwin Foundation (CDF) to help protect these iconic islands from the blackberry. With initial funding from FEIG (Fondo para el control de las especies invasoras de Galápagos), which is a trust fund set up to manage invasive species problems in the archipelago, CABI scientists have started identifying ways of controlling this island invader using a method known as classical biological control, or biocontrol. This method is used worldwide in the battle against non-native invasive species, such as weeds. It uses living organisms – that’s to say, the natural enemies of the invasive species such as insects and diseases – from areas of the invasive species’ native habitat. A biological control ‘agent’ is selected, which only attacks the invasive or target species, weakening it and reducing its impact. A successful biological control agent will keep the blackberry in check on all the sites where it’s present and, most importantly, significantly reduce the costs of controlling it. Biocontrol not only lessens the cost of management for farmers and the GNPD, but also allows the recovery of native vegetation and its associated wildlife, as well as the subsequent release of agricultural areas so that cultivation can be resumed. 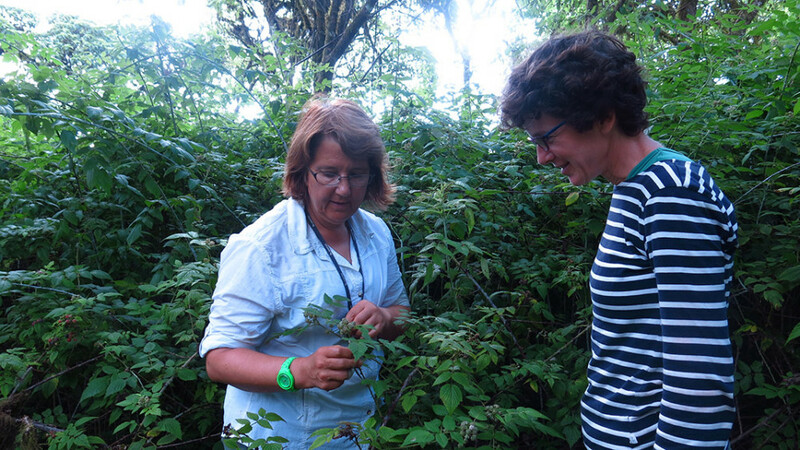 At present, CABI scientists are searching for potential biocontrol agents – like a rust fungus – from the blackberry’s native range of China and India, as well as defining more precisely the origin of the plants that were introduced to Galapagos using genetic markers. 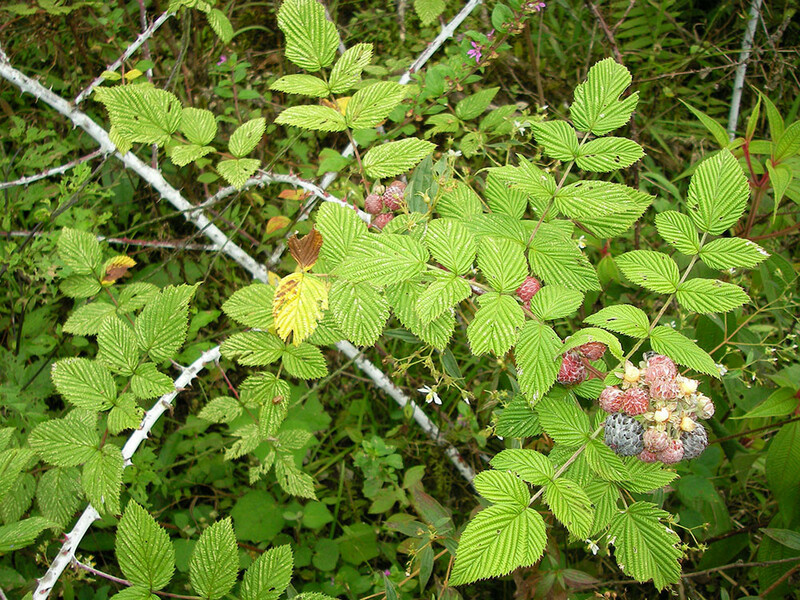 If a suitable agent is found, additional funding will enable rigorous testing over a 3-5 year period to ensure that the biocontrol agent for blackberry poses no risk to native species, as well as cultivated relations of the blackberry like the commercial Andean blackberry on mainland Ecuador, and ornamental roses grown for export. Biological control isn’t new to the Galapagos Islands: a previous project that introduced the Australian ladybug to control the cottony cushion scale insect was highly successful. At a recent meeting organized by CDF, representatives from the project and the local farming community expressed their hope that this project will be just as successful at reducing the massive impact of the blackberry on the unique native vegetation and farmland of these iconic islands. CABI is an international not-for-profit organization that improves people’s lives by providing information and applying scientific expertise to solve problems in agriculture and the environment. Their 48 member countries guide and influence their core areas of work, which include International Development and Publishing. Through knowledge sharing and science, CABI helps address issues of global concern such as improving global food security and safeguarding the environment. They do this by helping farmers grow more and lose less of what they produce, combating threats to agriculture and the environment from pests and diseases, protecting biodiversity from invasive species, and improving access to agricultural and environmental scientific knowledge. 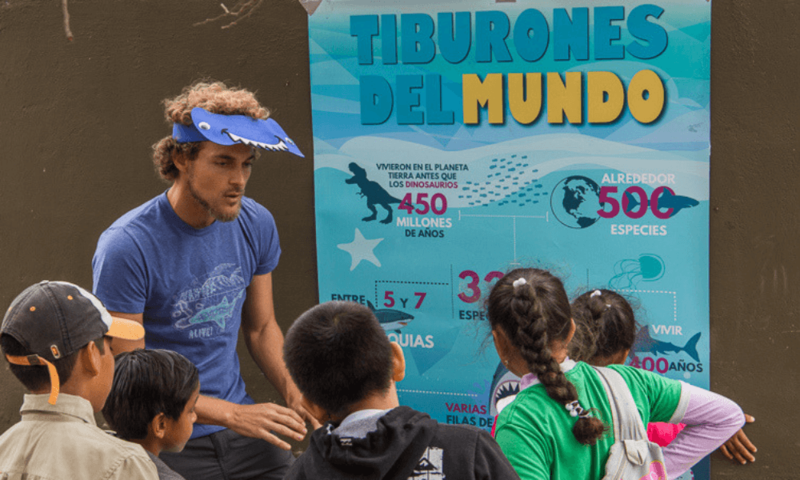 This entry was posted in Interest, News and tagged Conservation, Galapagos, Guest Blog, Invasive species. Bookmark the permalink. 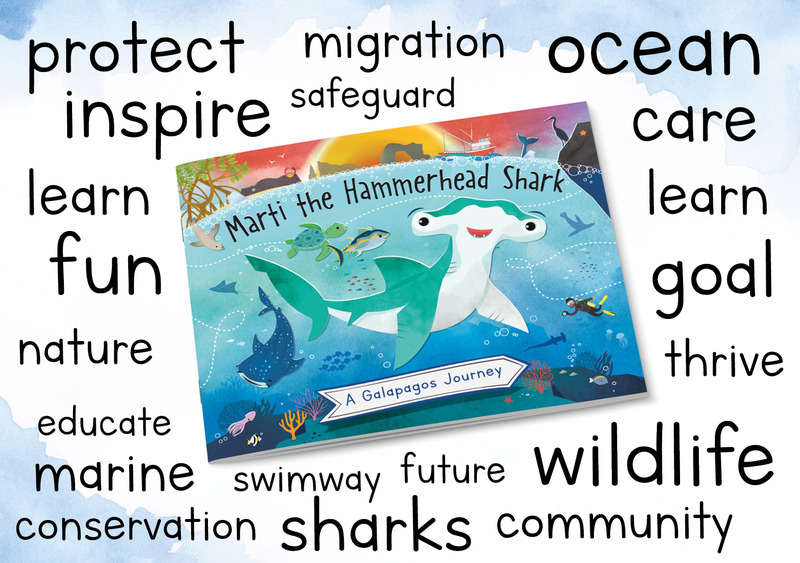 ← Galapagos Day 2015 – Raffle Prizes!